Right to left — Mr. Tex Boonjue, Ms. Hee Jong Choi, and me. We’re standing in front of the Post Theater at Ft. Meade. I was at Ft. Meade, Maryland today to monitor hearings in the Guantanamo Bay Military Commission case against an alleged high-ranking al Qaeda member, Hadi al Iraqi. Hadi faces war crimes charges in the court, located in a remote area of Cuba. The U.S. military broadcasts the hearings live to a Ft. Meade base movie theater (the Post Theater) via a secure video-link. I was joined by two Indiana University McKinney School of Law students, both of whom have strong interests in human rights and international criminal law. They are both representatives of Indiana’s Military Commission Observation Project (MCOP). Ms. Hee Jong Choi is a rising third year student who is an intern in Indiana’s Program in International Human Rights Law. She has been working on North Korean human rights issues, while she was based in South Korea for the first half of the summer, and while based in Washington, DC at an NGO (HRNK – The Committee for Human Rights in North Korea) for the second half of the summer. 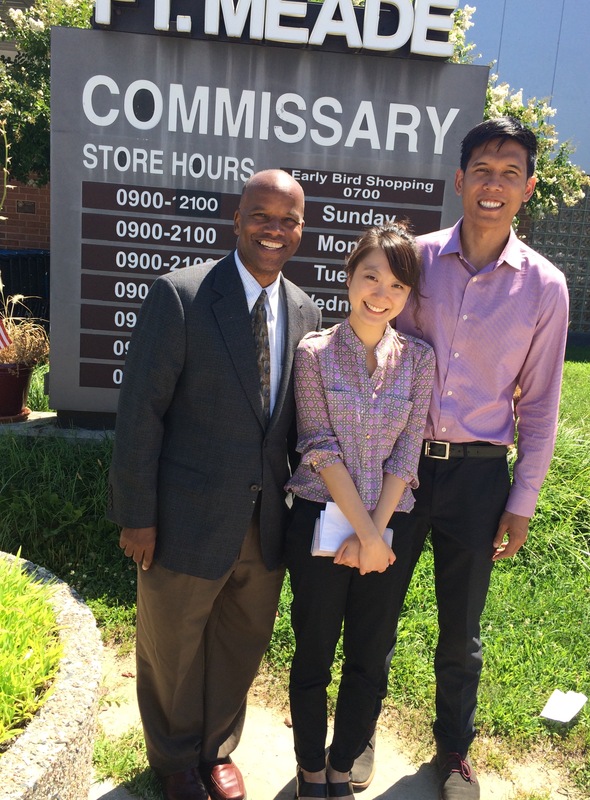 Mr. Tex Boonjue is a rising 2nd year Indiana student, who is working for the Court of Appeals for the Armed Forces (CAAF) at the Washington, DC Naval Yard. Fort Meade’s Post Theater is screening Guantanamo Bay war crimes hearings during the day, and San Andreas in the evenings. Today’s hearings were notable, in that the defendant had an opportunity to speak more than defendants typically speak at military commission hearings. Typically, at the beginning of a hearing week, the military judge will ask the defendant whether the defendant understands his rights. The judge lists our numerous rights, and the defendant is given a chance to answer as to his understanding of those rights. Generally, after that, the lawyers do the rest of the talking, along with the judge. Today, an issue was presented regarding the possibility that the lawyer who represented Hadi for a year may have a conflict of interest that could have a negative impact on Hadi. The judge asked Hadi series of questions, in open court on the record, and Hadi replied. Hadi and the judge entered into a discussion about these issues. Ultimately, due to questions concerning the possible conflict, the judge suspended the hearings, indefinitely. The hearings for July 2015 had been scheduled for two weeks, beginning Monday, 20 July. The night before, this conflict issue was raised in special conference, and the judge postponed the hearings until today, Wednesday the 22nd. Today, we had about 3 hours of court time, including the time that the defendant and the judge conversed, and including pauses and a long break. The two weeks of hearings could be over as of lunch time today. In the meantime, many dozens of people associated with the hearings boarded a plane this past Sunday at Andrews Air Force Base, bound for 2 weeks at Guantanamo Bay. The plane may be forced to return to Andrews more than a week early, with only 3 hours of court. Who else was at Ft. Meade today? Also in the Post Theater observing today’s hearings were 7 law student interns from the Office of the Chief Prosecutor of the Military Commissions, along with one of their supervisors, Major Chris Hartley (Army JAG, International Law Advisor). Two law student interns from the Human Rights First National Security section were present, as was another gentleman who did not identify himself. A DoD contractor was there to help ensure that no one brought cell phones into the Theater. And a technician and another administrator popped in from time to time to check up on things. It was an early lunch day at Ft. Meade. Greg Loyd, our Indiana McKinney representative who is in Guantanamo Bay this week, reported that there is plenty to keep him and observers busy down there, even with the hearings being suspended. He, and the rest of us, are spending time working on the Guantanamo Bay Fair Trial Manual. The Hadi al Iraqi Guantanamo Bay hearings begin tomorrow (Wednesday, 22 July), two days late due to an issue that apparently arose on Sunday the 19th, our first day in Cuba. I came to Cuba to observe these war crimes hearings, and though the hearings were postponed, I and the other Observers had a very full two days. On Monday I went for a 4:00 a.m. run with a fellow Observer. We ran early to avoid the daylight heat and humidity. As required, we carried our base identification card and wore reflective gear. We then met with the other Observers and our escorts for breakfast at the base dining hall. This gave us a chance to get to know each other and learn about the different non-governmental organizations we represent. At the dining hall we saw members from every branch of the U.S. armed forces. As for the food, well, it was pretty decent. I’m sharing this tent with the two other male Observers. the 4 female Observers are sharing their own tent. Who are the Guantanamo Observers this week? I am representing the Military Commission Observation Project of the Indiana University IU McKinney School of Law (MCOP), founded by Professor George Edwards. Five other NGO’s sent representatives to attend this round of Hadi hearings. NGOs generally are tasked with attending, observing, analyzing, critiqueing and reporting on the military commission proceedings. Our Indiana project, which is also known a the “Gitmo Observer”, is specifically looking at the rights and interests of the full range of Guantanamo Bay military commission stakeholders, including, for example, the defendants, the prosecution, the victims and their families, the witnesses, the media, and the military personnel who guard the prisoners and run the detention facilities. My third of the men’s tent. 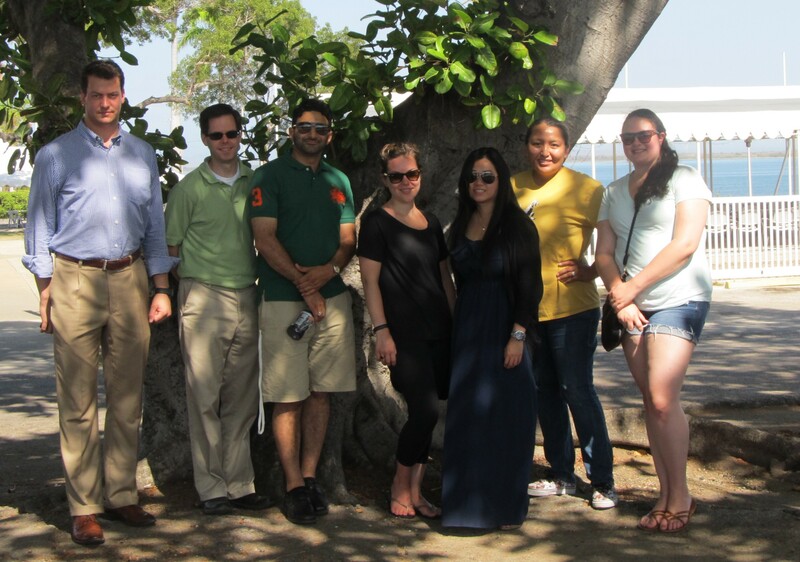 Our group of Observers consists of two attorneys, four law school students from four different law schools, and one representative from an NGO that focuses on human rights. The diverse backgrounds of this group will help provide different points of view from which to observe the proceedings and, thus, hopefully lead to a fuller review of the hearings. After breakfast, I met with the other Observers for an informal discussion. We met outside near a particular restaurant so that several of the Observers could use the free wifi available at that particular location. Internet access is quite an issue at the base. Internet access through a wired ethernet connection costs $150/week. This cost is prohibitive to some NGO’s and to some Observers. The Observers who cannot afford to pay for the wired connection must rely upon free wifi. This service, which is only available at select locations is both slow and unreliable due. This, in turn, runs the risk of limiting timely reporting from Observers. I then went to the NGO library to learn what resources were present to aid us in our observations. A number of NGO’s, including the Military Commission Observation Project through Indiana’s IU McKinney School of Law, stocked the library with helpful written material. The MCOP most notably included two resources (1) a briefing book that includes the Manual for Military Commissions and (2) a copy of the 500 page Executive Summary from the Senate Select Committee on Intelligence’s Committee Study of the Central Intelligence Agency’s Detention and Interrogation Program. To understand the rights of stakeholders, it is important to understand the legal framework in which stakeholders exercise their rights. As such, the Manual for Military Commissions is a great resource as it sets forth how military commissions, such as the one handling the al-Hadi al-Iraqi case operate, both in and outside of court hearings. This includes, for example, discovery issues, trial rules, and sentencing procedures. The second document will be helpful as the Hadi defense team has made numerous references to this study through many of its pleadings. This document is important as it is referenced by the defense in many of its pleadings. It is hard to believe that the hearings begin tomorrow. I’m excited about this opportunity to watch the hearings, analyze the proceedings, and then report to you. I and other Observers have been using the Guantanamo Bay Fair Trial Manual, that provides insights as to what we might wish to look for as we assess whether stakeholders are receiving a fair hearing. 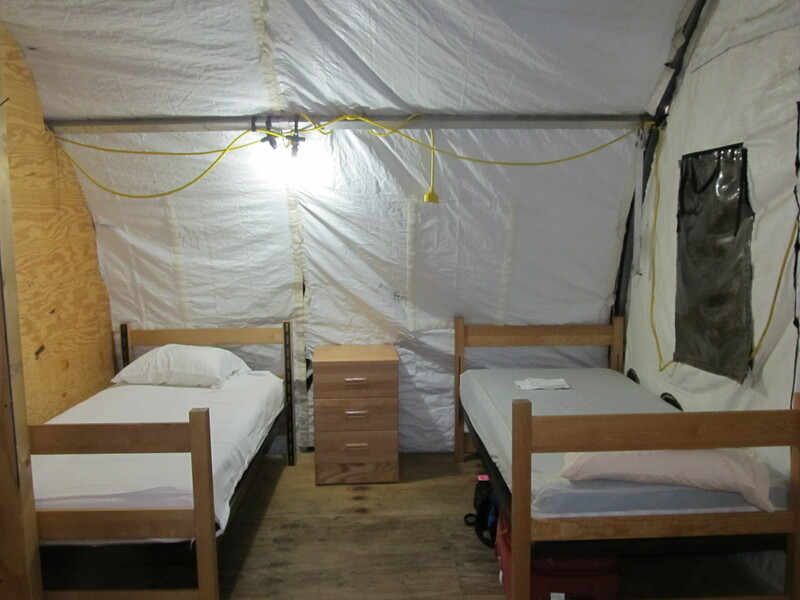 I’m standing at the front of Camp Justice, my home for the next two weeks at Guantanamo Bay. I am facing the makeshift complex that houses the courtroom where hearing are scheduled to begin tomorrow, Monday, 20 July 2015. I arrived at Guantanamo Bay Naval Station yesterday, on a sunny Sunday July afternoon. I am scheduled to be here from tomorrow (the 20th) through 31 July to monitor hearings in the case against alleged al Qaeda official Hadi al-Iraqi. I flew from Andrews Air Force Base – along with the judge, prosecution and defense attorneys, media, and other NGO Observers – on an air force flight. Check-in was similar to check-in for a regular commercial flight. I presented my ID card at the Andrews ticketing counter, confirmed my destination, and the attendant gave me a boarding pass. In the Andrews terminal, I had the opportunity to meet fellow NGO Observers and other people involved in the military commission. Many people traveling with us appeared to have formed strong bonds, as they quite happily greeted one another with wide smiles, a change in the tone of their voice, and a strong handshake or hug. When did friends and Colleagues last see each other? Watching the men and women at Andrews greet each other so warmly made a lot of sense to me, since the different groups of people may not have seen each other in a while. I’m not sure when the last hearings were in the Hadi case, but there have been no military commission hearings at all for many months. Unlike many courts, the Military Commission doesn’t conduct court hearings each and every day. Instead, the court only conducts hearings on the days or weeks designated by the judge in light of pending motions, the status of the parties’ trial preparations, and other considerations. Weeks and months can go by with no hearings in the Hadi case, or in any of the other few pending Guantanamo Bay cases. The judge and others involved with the hearings (excluding the defendants) do not stay at Guantanamo Bay when there are no hearings. Instead, everybody (again, except the defendants) travel to the base only for the scheduled hearings. Hearings have indeed been scheduled in multiple cases over the last several months, but most of those hearings were cancelled. The repeat cancellations present a potential problem for NGO’s, among other stakeholders. Such cancellations (particularly those that occur shortly before a hearing date) create a degree of uncertainty for NGO’s representatives regarding the cost of planning on attending hearings. This cost notably includes time reviewing relevant motions, statutes, and human rights treaties, and that time could instead be invested in other valuable projects. If hearings are rescheduled too often, there is a risk that NGO’s will elect to invest their time in other worthy goals that may have a more certain application, rather than preparing for a hearing that may be cancelled. Should this occur, then fewer NGO’s may send Observers, which could negatively impact the quantity and quality of Observer reporting. 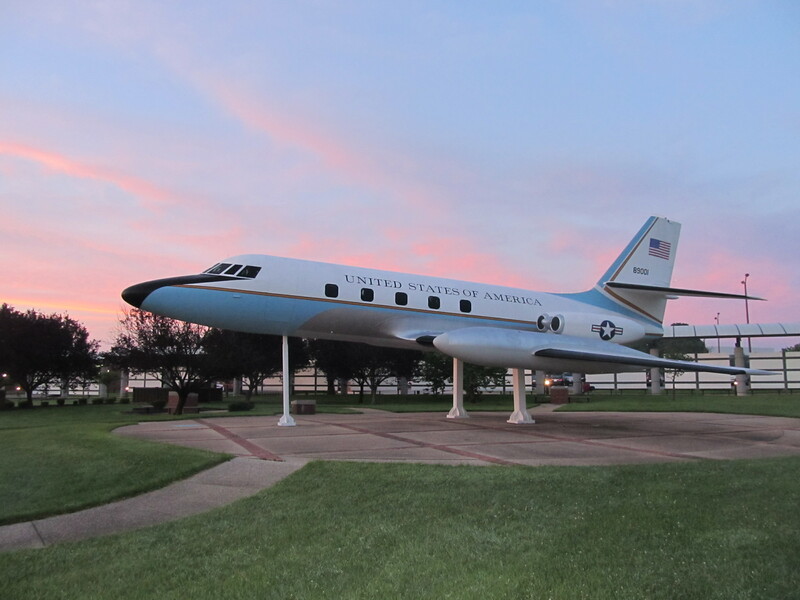 On three prior occasions, I was selected to travel to observe the proceedings as a representative of the Military Commission Observation Project of Indiana University School of Law. Each previous time the hearings were cancelled. Each time I prepared for the hearing, purchased flight tickets, paid for my ground transportation, and coordinated work schedules and assignments with co-workers. While I am fortunate to work in a very team oriented office, such cancellations (and subsequent rescheduling) put pressure on my co-workers. As a trial attorney, I understand the need to continue court hearings, sometimes at the last minute. I also understand that the complexity of these issues often necessitates a fair amount of work by all parties to properly prepare for the hearings. Nonetheless, the potential danger to NGO’s remains as they work to balance their limited time, manpower, and other resources. While these cancellations can be frustrating, I hope that Observers can use this time beneficially to review and re-review the law, commentary, and analysis. Perhaps this additional analysis under multiple deadlines will lead to creative ideas to contribute to the discussion. Just moments ago, my fellow NGO Obsevers met for Sunday dinner to discuss the hearings set to begin tomorrow morning. While at the restaurant, we were notified that the hearings scheduled for Monday, July 20 and Tuesday, July 21 were postponed until Wednesday. 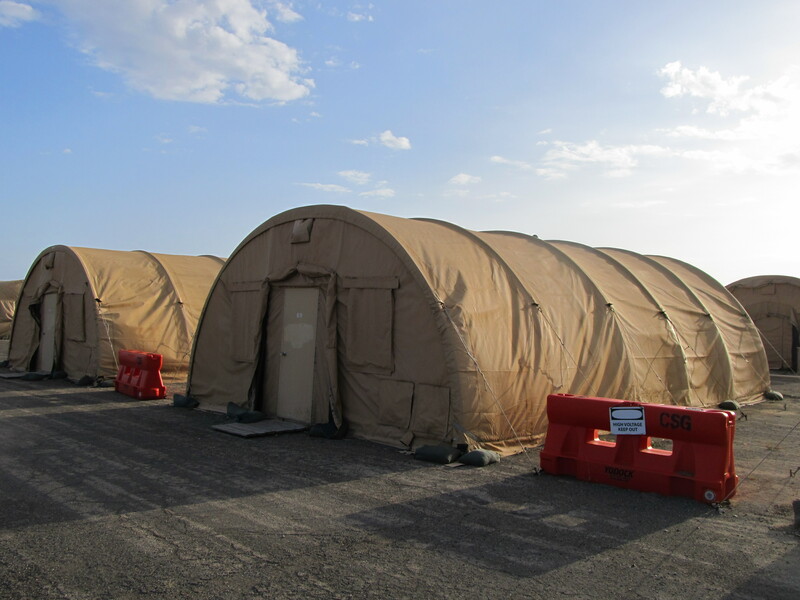 That’s not a big problem for us, as our Guantanamo Bay tents are only a few feet away from the courtroom, and it is not a logistical nightmare to have Monday and Tuesday without hearings. But, Indiana’s Military Commission Observation Project is sending 4 people to Ft. Meade, Maryland, to monitor these same Guantanamo hearings via a secure simultaneous video-feed. It must be more challenging for the Ft. Meade Observers to change their hearings schedule to get to Ft. Meade. Its time now to re-read some material I brought along. 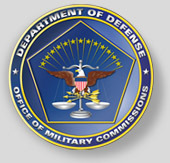 Seal of the Office of Military Commissions, U.S. Department of Defense. The defense is asking the judge to dismiss the case as a whole, or, alternatively, to dismiss just on charge (Count V, Conspiracy). Motion to suppress defendant’s statements. The defense is asking the court to prohibit the Government from admitting at trial many statements made by the defendant. The prosecution wants the court to determine whether the judge will permit particular pieces of evidence to be admitted at trial. This motion asks to judge to rule whether the court has personal jurisdiction over the defendant. The Government will have the burden to establish that the court has the authority over this particular defendant so that the court can conduct his trial. If the court does not have jurisdiction, then the trial cannot go forward. The prosecution and defense have submitted hundreds of pages of briefs and other documents related to these and other motions. It looks like it can be a busy 10 days for us at Guantanamo Bay. I am excited about the opportunity to observe these proceedings. I will work hard to help keep you posted. In the meantime, please keep reading about the case! 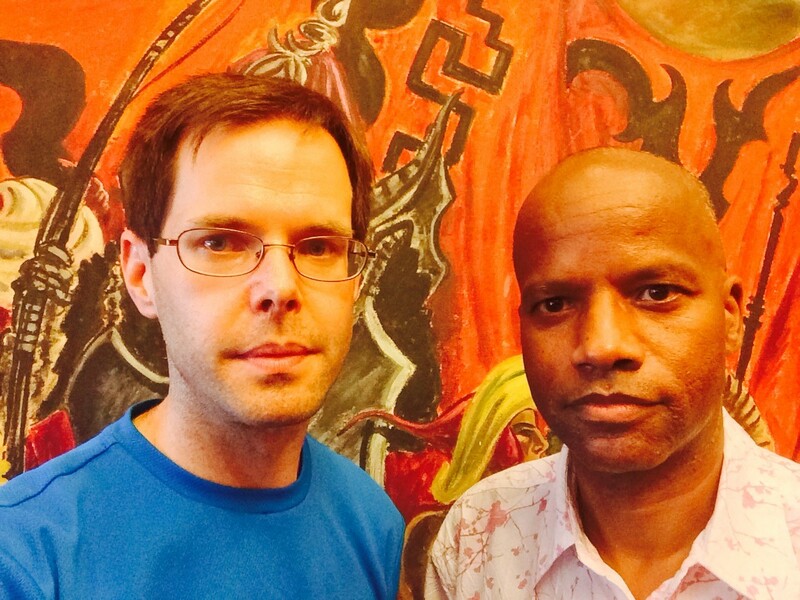 Mr. Greg Loyd (left) & Professor in Washington, DC on the eve of Mr. Loyd’s departure for Guantanamo Bay hearings in the case against Hadi al Iraqi. Professor Edwards will monitor the same hearings at a secure location at Ft. Meade, Maryland, beginning Monday, 20 July 2015. Greg Loyd will fly to Guantanamo Bay, Cuba to monitor hearings in the military commission case again Hadi al Iraqi. Professor George Edwards will monitor those same hearings via a secure video-link at Ft. Meade, Maryland. Mr. Loyd, who is a graduate of the Indiana University McKinney School of Law, is representing the law school’s Military Commission Observation Project (MCOP), founded by Professor Edwards. 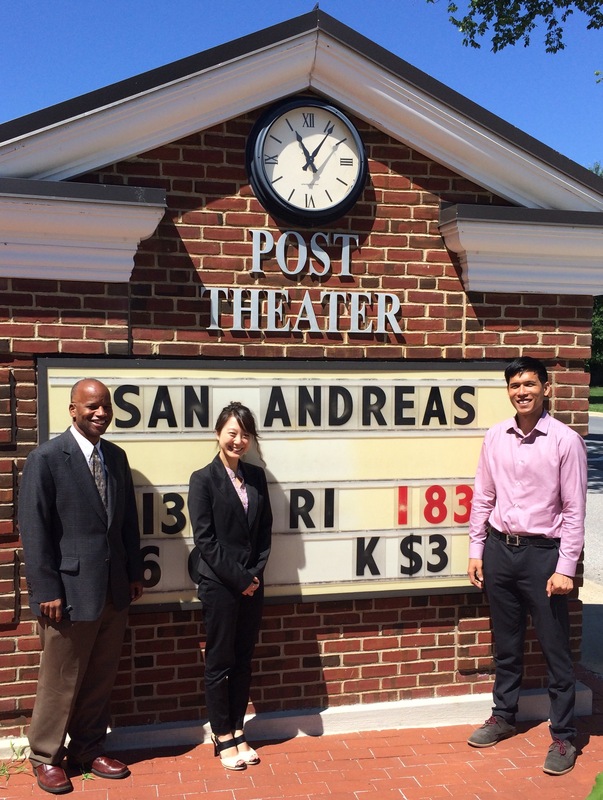 Three Indiana students and graduates will join Professor Edwards at Ft. Meade for the hearings, that commence Monday, 20 July 2015. The pre-trial hearings are in the case against Hadi al Iraqi, who is an alleged high ranking member of al Qaeda. 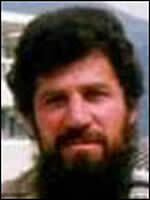 He is charged with being an al Qaeda liaison to the Taliban, to al Qaeda in Iraq, and to other affiliated groups. Professor Edwards was in the courtroom at Guantanamo Bay in the 2014 summer when Hadi al Iraqi was arraigned on these charges. Mr. Loyd is scheduled to report to Andrews Air Force Base on Sunday, 19 July 2015, for his flight to Guantanamo Bay. Professor Edwards and the other Indiana monitors are scheduled to drive to Ft. Meade early Monday morning for the hearings. While Mr. Loyd will be in the Guantanamo courtroom, the Ft. Meade viewers will witness the proceedings live by video. All Indiana monitors will be posting blog entries about their observations. They are all using the Guantanamo Bay Fair Trial Manual to help them assess whether in their opinion, all stakeholders are receiving the fair trial to which they are entitled. The defendants are entitled to a fair trial, and so too is the prosecution. Other stakeholders with rights and interests include the media, the U.S. an international public, and the victims and victims’ families.